2 of the sexiest cars on the road have recently spent time in the GCB bunker, and weren’t we pleased. 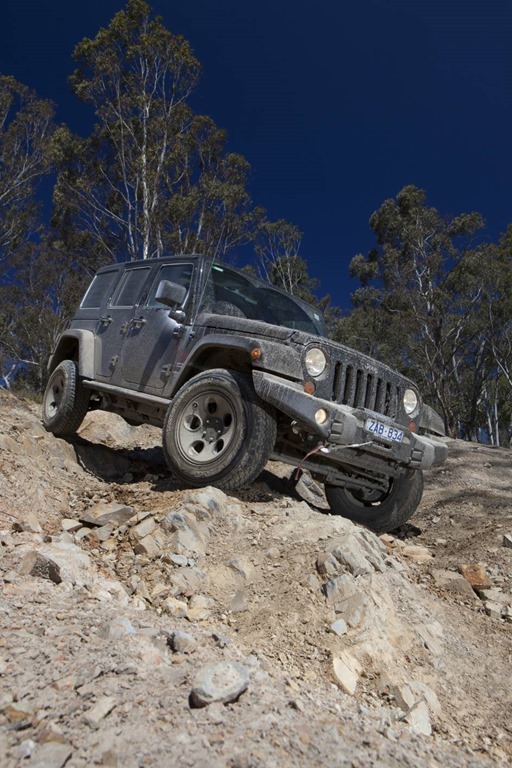 Each is an icon in its own way and each is a superb off-road performer. 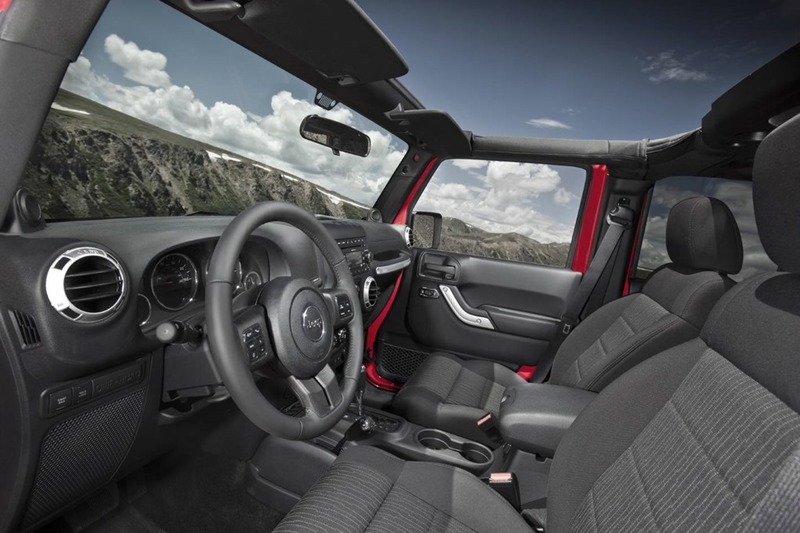 The Jeep has been around in one form or other for decades with the Wrangler being the Spiritual successor to the famed WWII Willys Jeep. 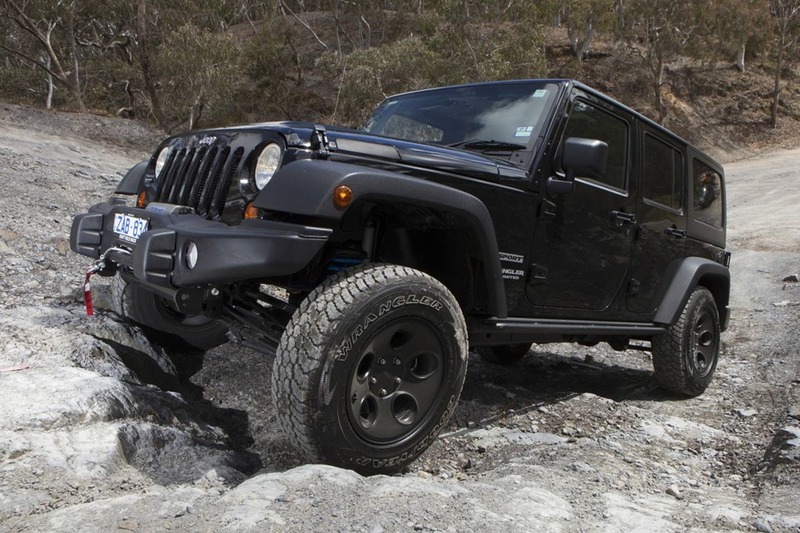 Jeeps have been through wars, floods and has been used by many a military general. 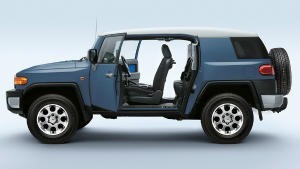 The FJ Cruiser is also a spiritual successor: to Toyota’s own FJ40 LandCruiser. We’ve all seen those old girls in many a wild life show with pith-hatted adventurers at the wheel. The stop to muted narration as if the honking great Rhino in front of them could hear the track being laid down in Surry Hills after the filming had finished. They groaned under the weights of tents and cameras and vast quantities of fuel, but still they pushed on. The adventurers were able to repair their trusty steeds with a bit of spit and baling wire with not so much as a hint of complaint. Both Toyota and Chrysler continue their retro design while underpinning the new models with modern tech now widely available. Building on the WWII fame and good fortune of the Willys Jeep, the Wrangler was introduced in 1987 and is now in the 4th generation. 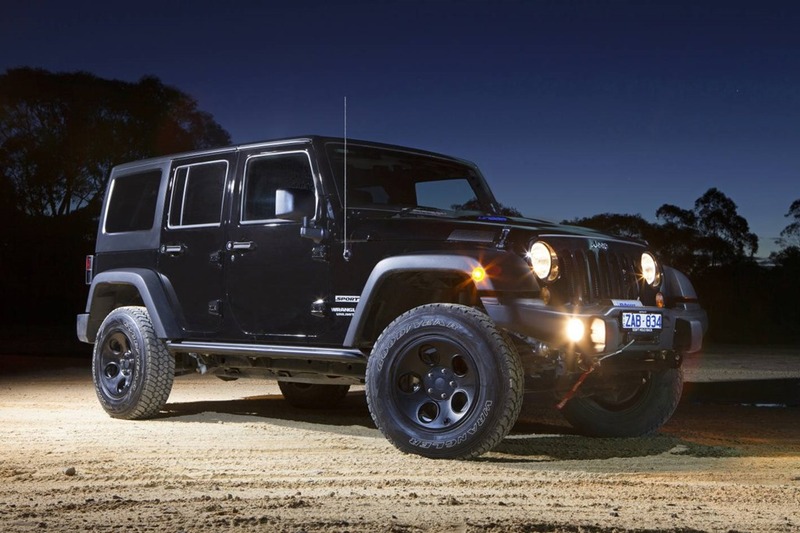 The looks have remained generally the same since that first Willys inspired Wrangler. 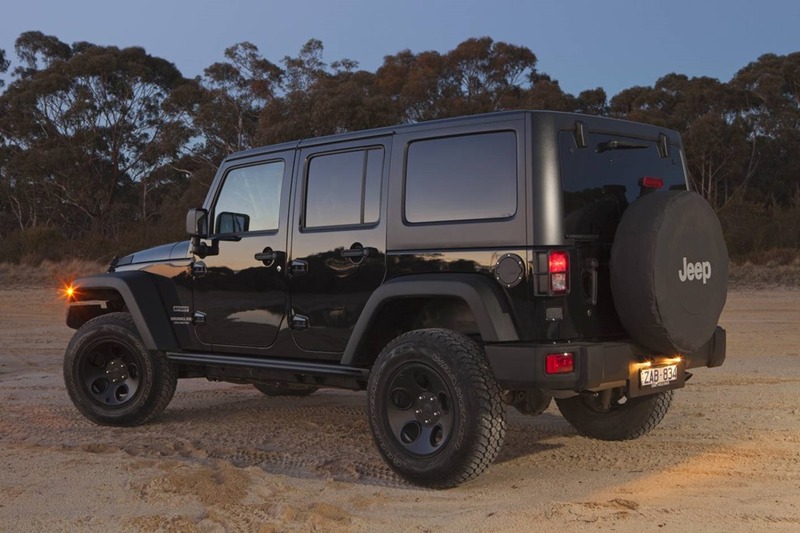 Only an aficionado will notice any real difference between model years, so when someone says they own a Jeep, the Wrangler is what most people think of. This special edition adds 8 grand of extra stuff. 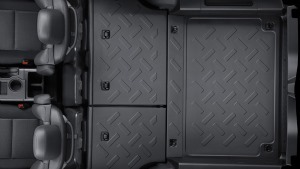 The rugged exterior of the 4 door model has a hard plastic roof with removable sections over the passenger compartment. Each of the front occupants can remove their panels to enjoy the summer sun and get that carefully coiffured do all messed up. It is a bit of a kerfuffle but worth it. The rear section is in one piece so you have to take it off before you leave home. If you’re feeling daring you can also take off the doors. There is an $800 trolley where all the bits fit so you don’t scratch things against the floor. I removed the panels and stowed them in the cargo area along with my luggage. There was only me, some bags and a blow-up bed, so there was plenty of space for the front roof sections. The first thing I noticed is how much bigger they seem when they are in your hands and not attached to the car. A certain amount of caution must be exercised if the roof isn’t to be scratched. I can’t imagine how dreadful it would look with the exterior scratched up. Had I planned the trip properly I’d have folded down the seats as a flat cargo area which is most useful for just such occasions. Since there is no planned method of stowage, you roof bits will rattle against each other with nothing in-between them. After only a short distance I moved one of the sections out of the back seat and into the rear with the bags as the rattle drove me quite mad. 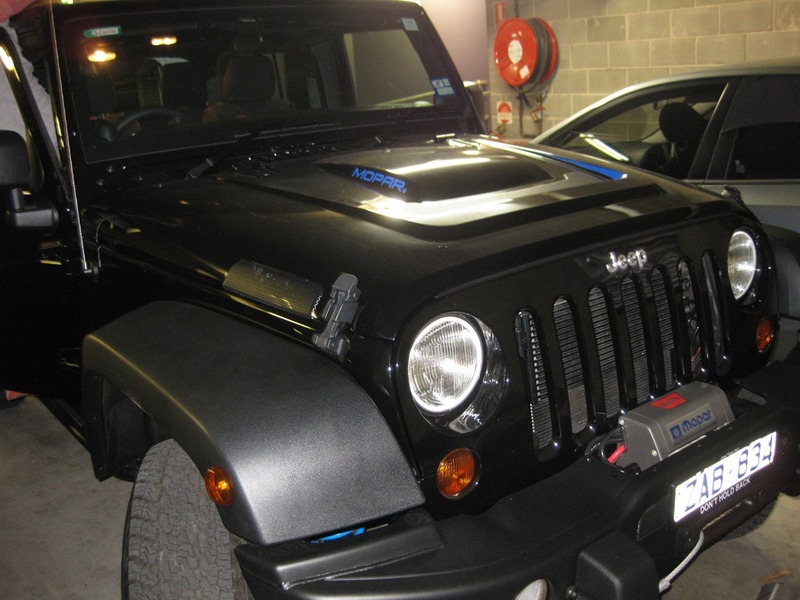 Radio control unit VS the Jeep centre console. Look familiar? Everything looks rugged but is all plastic. 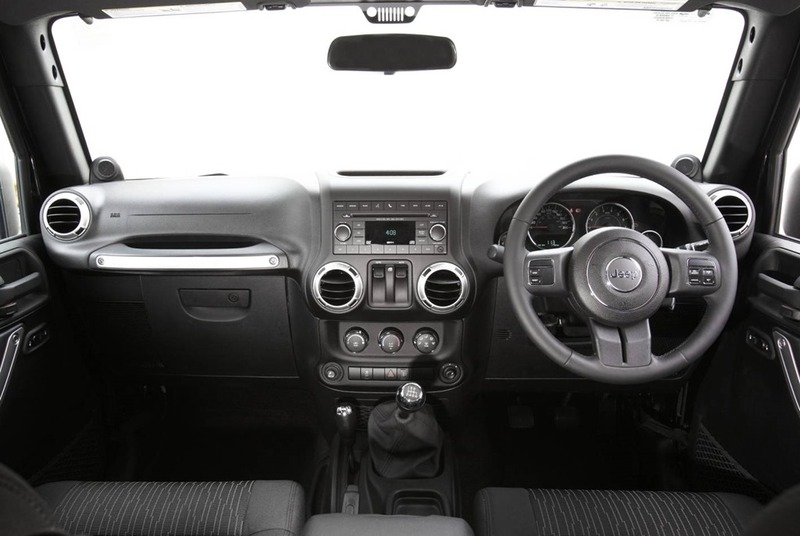 One gets into the driver’s seat and senses a touch of “tradie’s mobile phone” about the interior. You know the phones with the thick rubber and big buttons. I’s not particularly attractive but very good at what it does. It stays together when a normal mobile would have disintegrated with moderate use. The Wrangler is the same. The buttons and other controls are chunky and the entire cabin feels as if it could be hosed out. The utilitarian design has a few other useful features such as the under floor lockable stowage bin and sturdy upholstery. 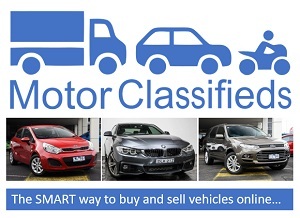 The car is obviously meant to be taken seriously and used for outdoorsy types to cart their gear around without fear of ruining their precious finishes. I’d be interested in seeing what it looks like after a few years use because plastic doesn’t stand up well to extended periods in the sun, especially Australian sun. With the roof panels removed, the roll bars are more obvious. They are fully contained within the cabin so you see and feel them and it lends a reassuring solidness to your adventure. 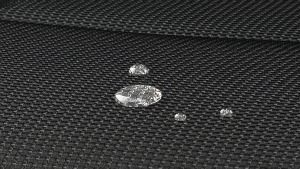 The roof is secured by means of a heavy duty bolt, main clip, and sundry other plastic handles for each panel. In traffic, you realise how high the driving position is. From way up there, the car looks massive and the lines look mighty close but in a short while you get used to it and really start to enjoy the experience. Looking out over the bonnet you can see the contrasting blue paint work in the deep contours. 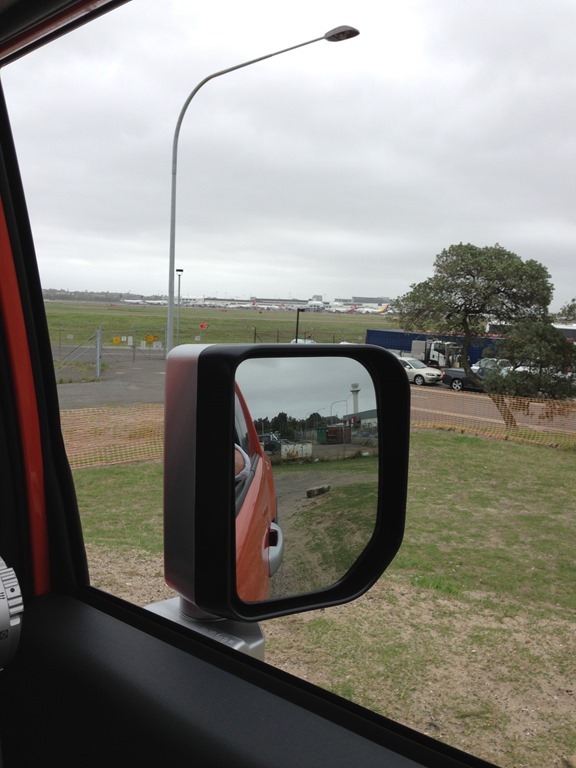 It can’t easily be seen from outside the car so is meant to be enjoyed from inside. I like touches that are purely for design’s sake. It shows a certain flare for the dramatic. The ride is very firm because the sports suspension is tuned for road use. The steering also feels firm and chunky but no less than one expects on such huge tyres meant for off-road entertainment. If you haven’t been in such a vehicle before the experience might feel foreign. 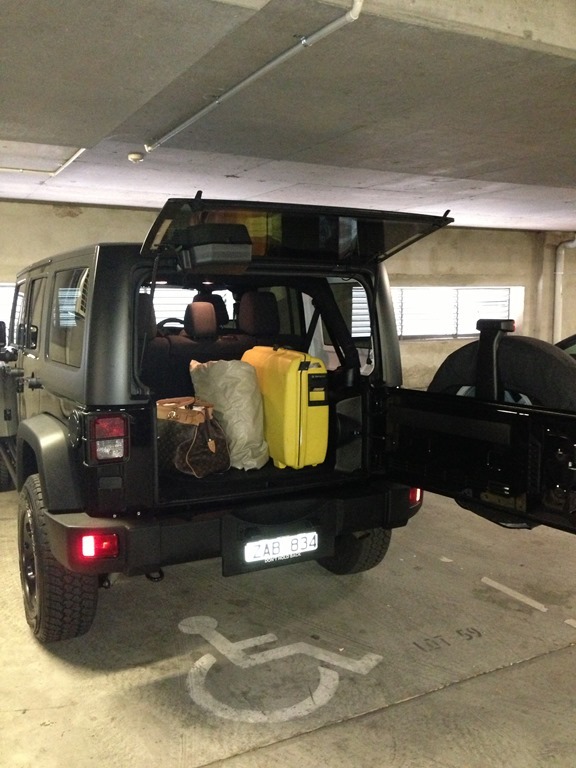 Although the Wrangler is considered a medium size SUV, it feels huge until you get used to it. 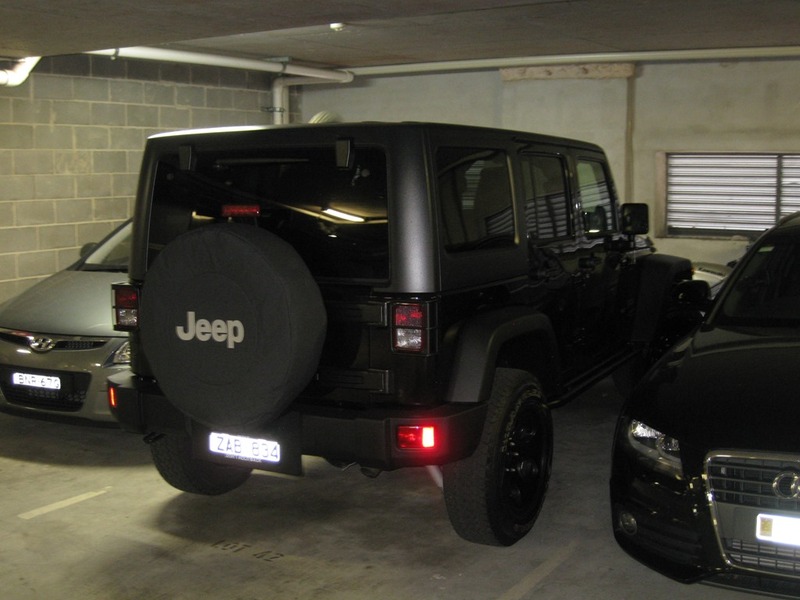 In tight spots such as car parks and your garage at home, there is no hiding the bulk of the metal and a reversing camera would be very handy. The audio system sounds great too. The subwoofer in the boot looks like a small fridge but does it take up a little too much room? 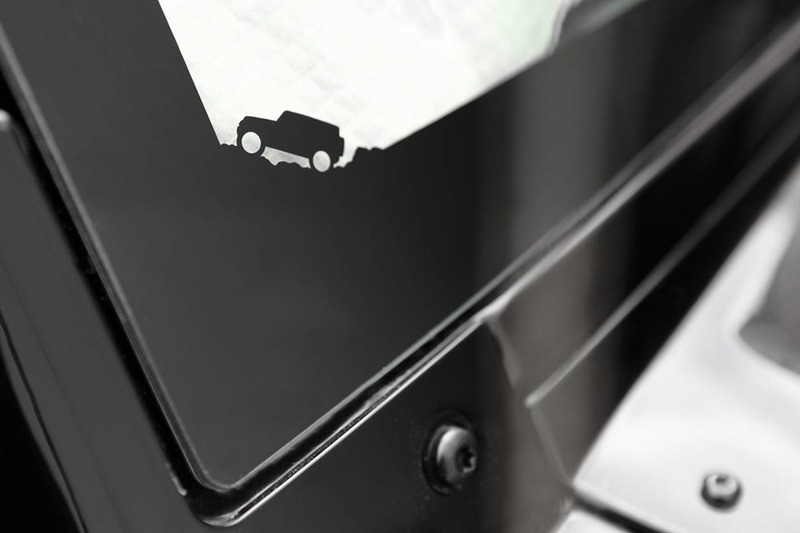 Moreover, the industry standard is a large LCD multi-media touch screen. 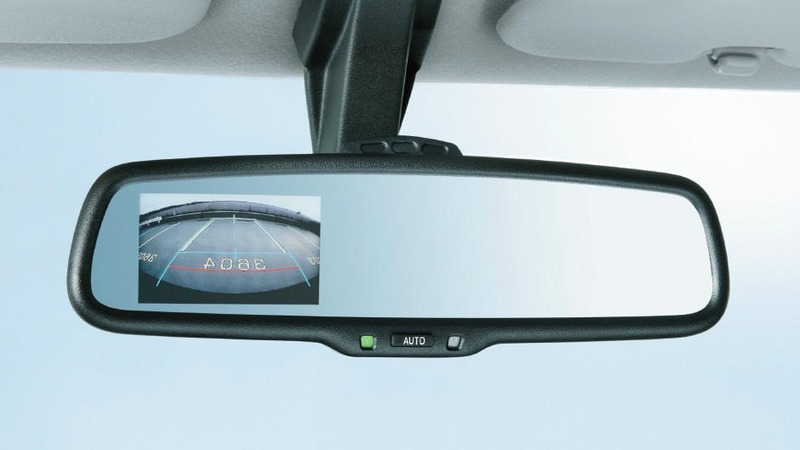 Such a screen can display music, video, vehicle function, phone lists and most importantly provide a large area for the rear camera. 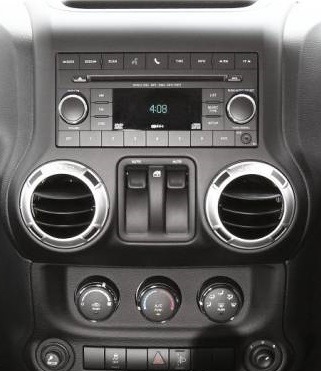 The Wrangler’s head unit seems very old fashioned to me and I’d consign to history the second I collected my new Jeep. It functions well, but these days a savvy buyer expects more. I was very pleased to see climate control which worked extremely well. I like the car to be kept cool most of the time and it certainly did that with aplomb. 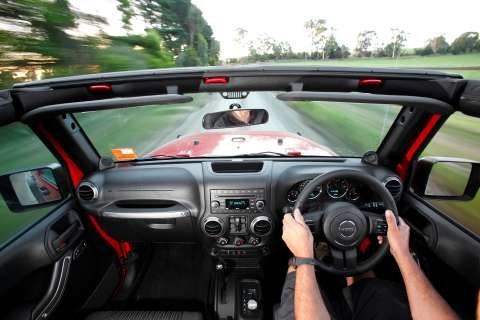 On the days with the roof off there is more than enough chilled whoosh to keep your body cool allowing the fresh air and sun to be on your face at the same time. The city test was passed with flying colours but for me the country trip was where she shone. The highway allowed the 3.6 engine to stretch its legs. I kept waiting for the auto to shift into 6th, but sadly there are only 5 speeds. The reason the number of gears in multiplying in newer cars is mainly for fuel economy and can’t help but feel the Jeep would really benefit from a taller top cog. With the roof on, the car was fairly quiet but on a warm day with the roof off I was transported instantly to another place. I’m fond of open air motoring so the rigmarole to get the panels off was worth its weight in gold, especially for a longer spin. As I drove long the quite country lanes, the wafts of fresh cool air punctuated air from the vents and the smells of pine and eucalypt forests filled the cabin with an outdoorsiness one simply can’t fake. The sun on my face, then dappled shade, then deep cover as I passed under ancient tree canopies was almost a religious experience. As I descended through the lower passes in the Blue Mountains I could hear Bell birds and Bower Birds and other familiar Australian bush sounds. It reminded me of my childhood and Gold Coast holidays with trips to the hinterland mountains. I realised the experience was more than the sum its parts. It seemed to be the perfect car in the perfect place at the perfect time. 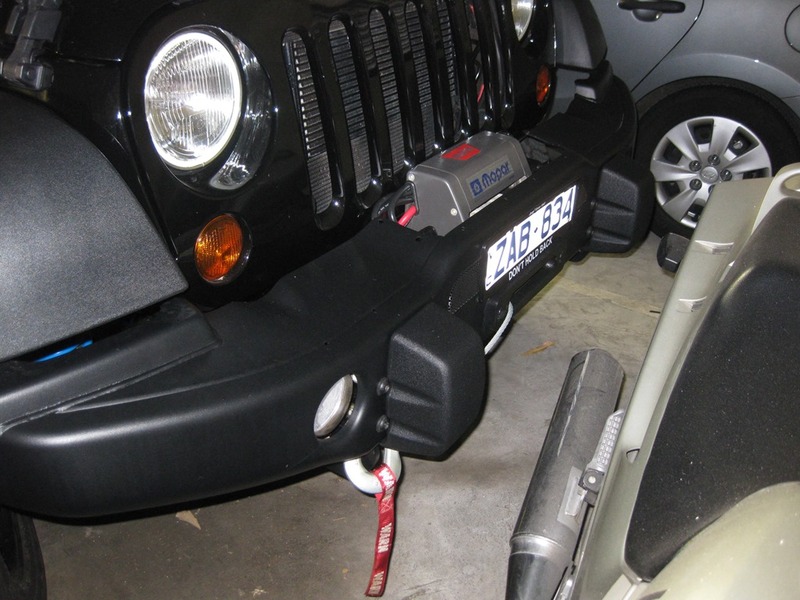 I never did get a chance to trial the winch on the front bumper, but I felt very special none the less. Feeling special is something you can’t engineer into a vehicle, it’s either present or not. 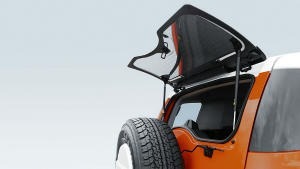 I loved the 2-piece rear hatch with upward open glass and side opening door but it’s a shame you have to open the bottom section first as it looks the glass hatch in place. Of all the thoughtful little touches, it was the playful graphics on the front window that I loved most. 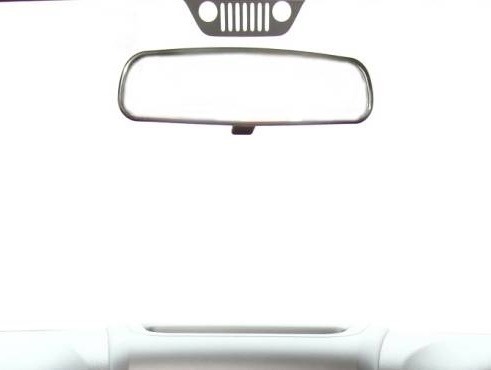 A little SUV graphic climbing rocks, and higher up the windscreen behind the rear-view mirror, a little graphic of the Wrangler’s own grill. 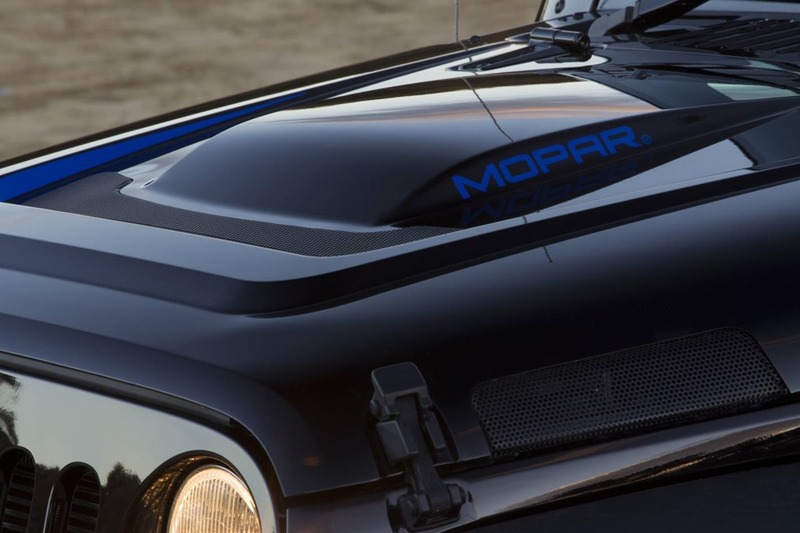 The Special Ops kit includes raised suspension, black wheels, a bulging bonnet with blue highlights, a steel front bumper, metal frames around the tail-lights and a winch which bring the price to around $50,000 for the auto model. This makes it around the same price as the FJ Cruiser. 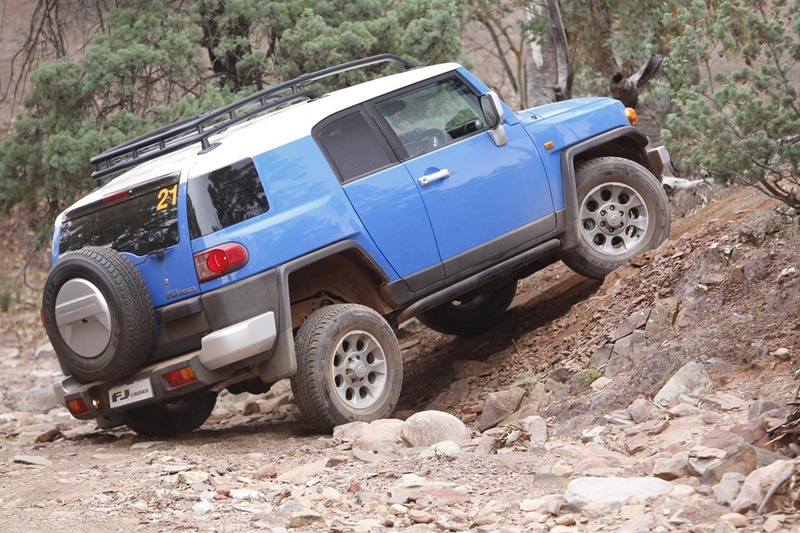 Like the Wrangler, the FJ Cruiser is a peach off-road. 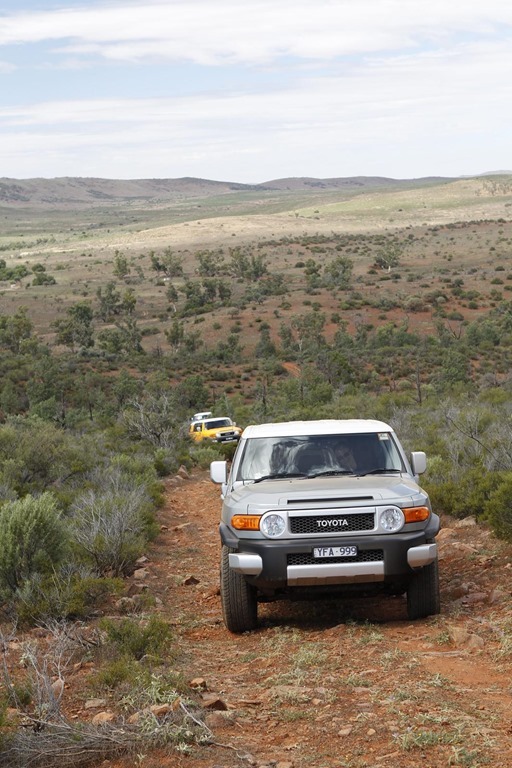 We got to give it a good work-out on Toyota’s fabulous launch event in the Aussie outback. 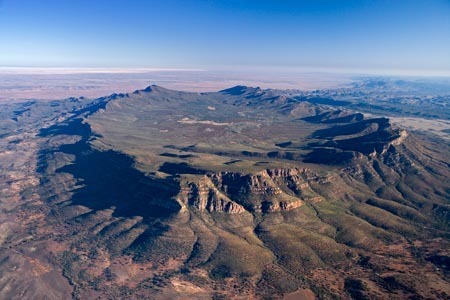 We spend a few days at Wilpena Pound, a natural rock formation that resembles an ancient meteor crater. 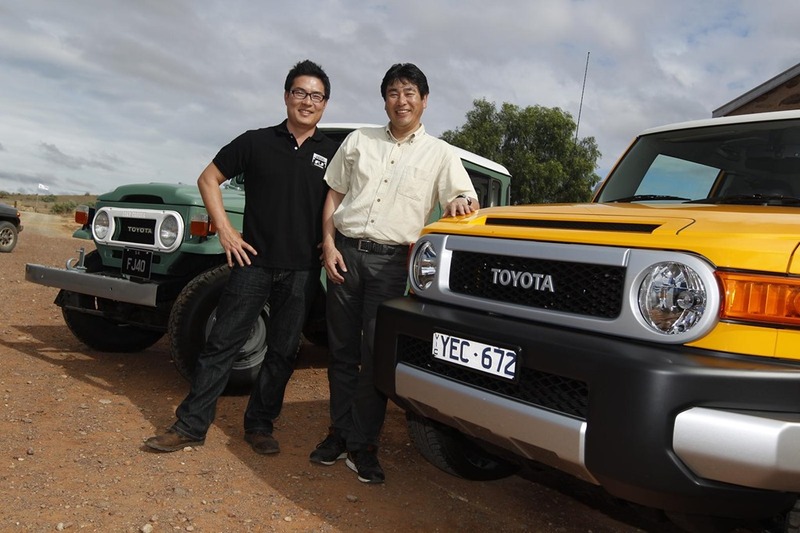 The FJ excelled. The 4.0L petrol engine is mated to a 5 speed auto as the only combo available but luckily are an absolute pleasure. Once back in town I spent a further week with it and we liked it very much. Now, almost 2 years later, we have another crack at her to see what’s changed. The full review is here. Outside, the Gangster good looks remain unchanged. Inside the only notable upgrade was the audio system. 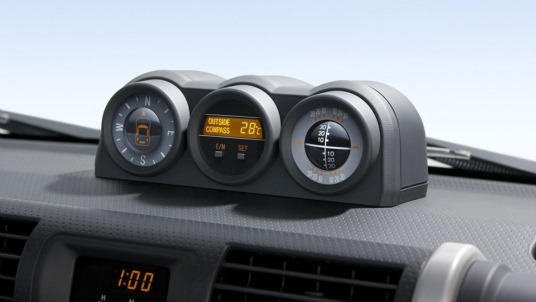 The old unit sounded great but the head unit was far below market expectations of a $50,000 car. Toyota use this unit in many of their other models so we know it works well. 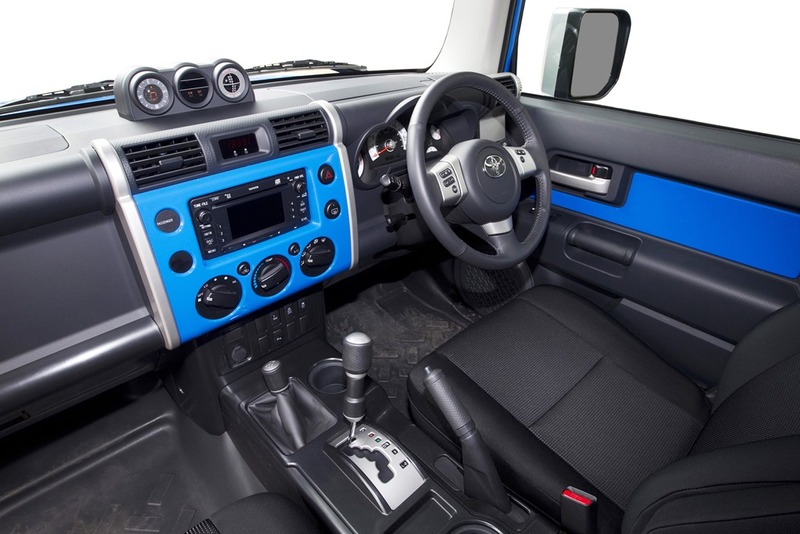 We are very pleased to see it making an appearance in the FJ. Like the other Toyotas I’ve seen the unit in, I haven’t been able to get the voice dialling to work, but I’m sure it’s user error. Still, as I usually say at this juncture, the Holden IQ system uses the voice dial in the phone and is so why doesn’t everyone? 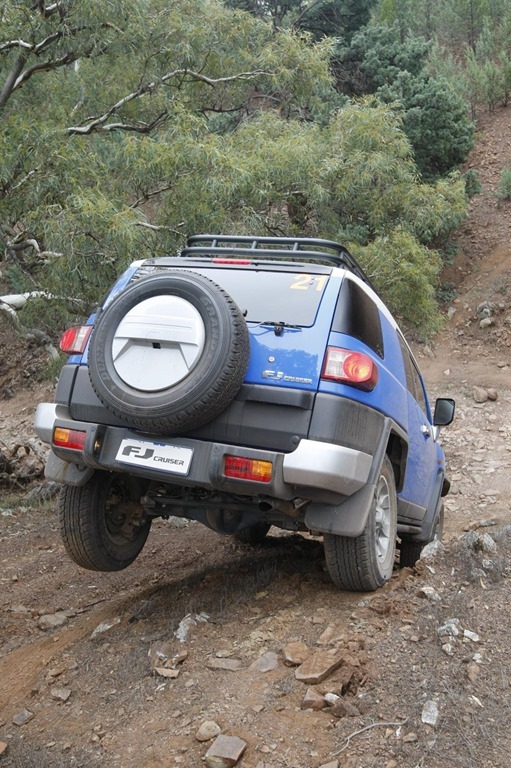 The test for the FJ was a combination of city work, made very easy with the reversing camera, and a dash through the Royal national Park and down the Grand Pacific Drive. 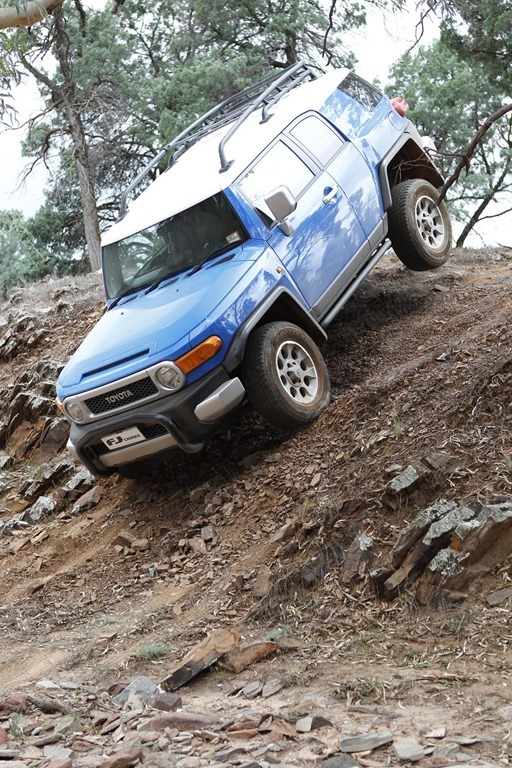 Since the Jeep had handled the mountains so well, I thought I should do a hill run to see how the FJ stacks up. The first thing you notice is the incredibly smooth ride, perky performance and comfy seating. 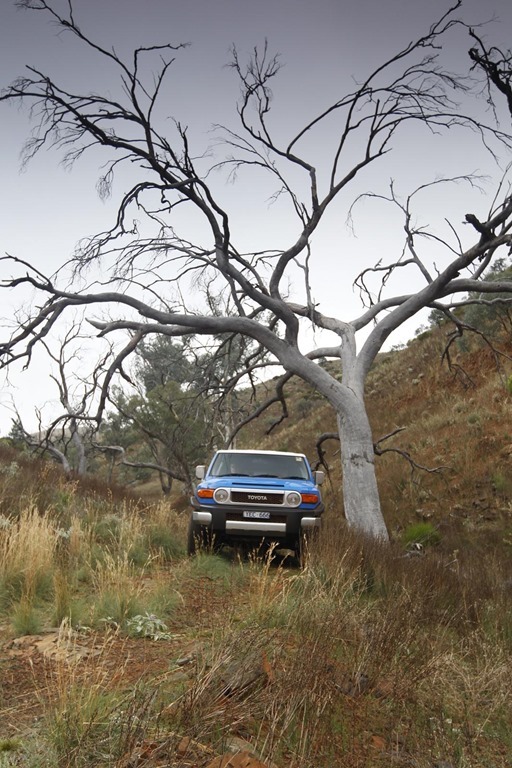 Compared to some 4WD’s the FJ feels a bit low-tech especially inside. 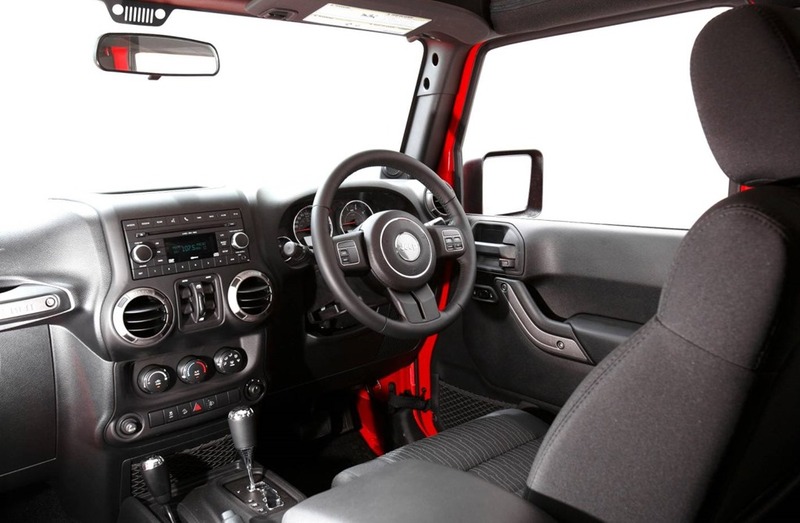 There are a limited number of off-road gadgets and a paired down interior which add to a sense of cost cutting. 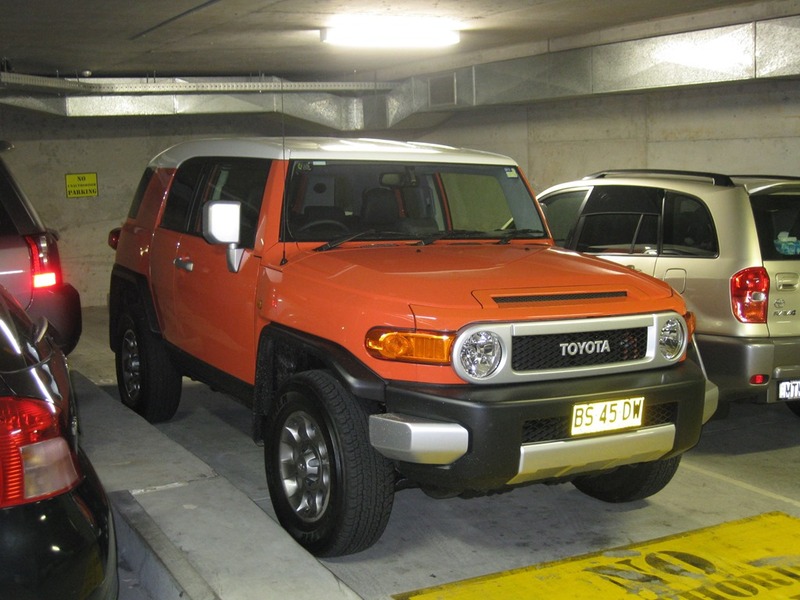 Indeed the FJ Cruiser is relatively cheap compared to fully-featured full 4WD cars but the base-model feel disappears very after a few blocks. In fact the retro low-tech look is quite calming and very very pleasant. The drive through the national park highlighted the sharp responsive engine and smooth gearbox. A 6th speed is essential in the 21st century but none the less the gearing is well matched to an engine with a wide power and torque band. Although it sounds good when revved, the big V6 is more than enough to get the big heavy car off the mark fast. The highway section of the drive showed off the quiet cabin and allowed plenty of time to fiddle with the audio system which sounds great. The chambers in the ceiling (which first made an appearance in the debut model) are obviously still used with the new head unit so there is plenty of oomph to make Kylie sound fabulous. It was a good as I remember it. For me, this is the best part. Each car had good and bad aspects of their DNA. For a start, there is the fuel consumption which isn’t too fabulous. 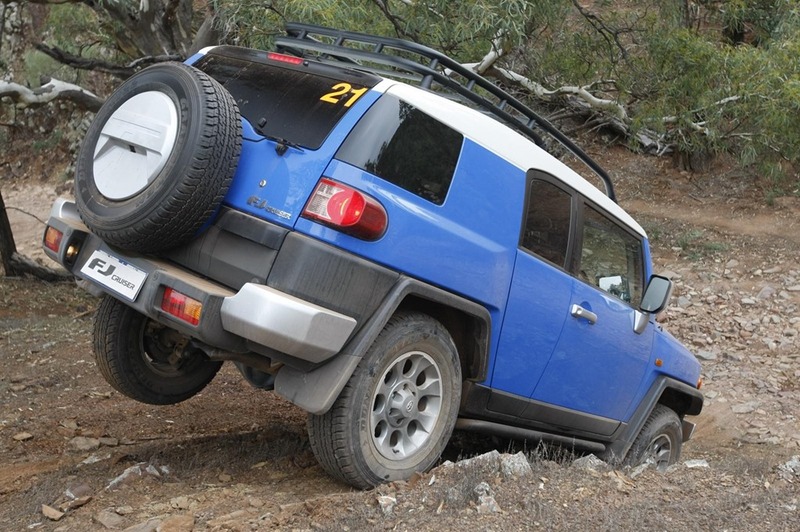 Both cars are heavy beasts but the FJ Cruiser is over 200 KGs heavier and half a metre longer than the Jeep. 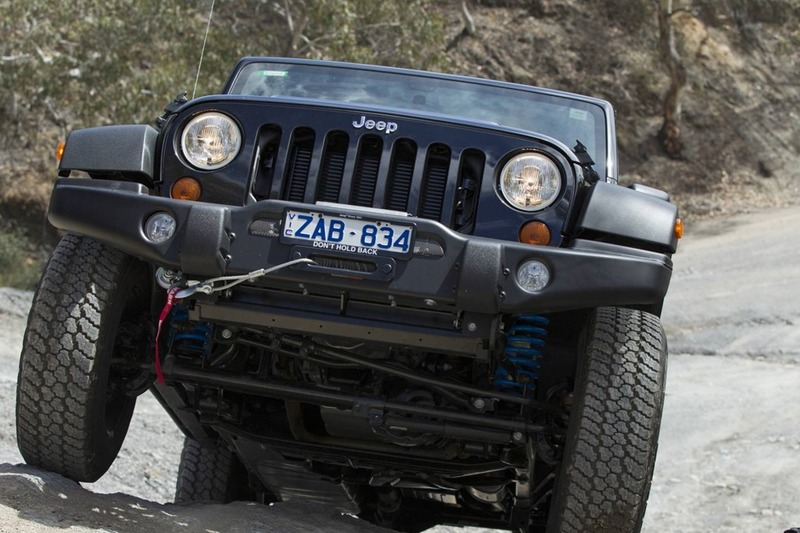 The Jeep came with a winch and a reputation for toughness stretching back decades. 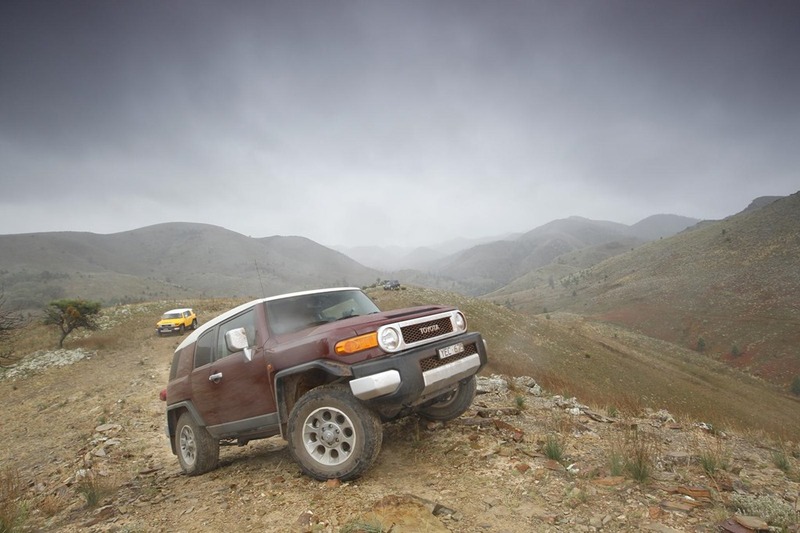 The FJ feels floaty in an almost luxurious way. You feel like you’re wafting along so perhaps it’s only my imagination that it seems to ride better than when it was released. 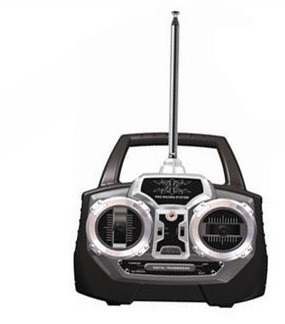 Certainly the updated stereo system catapulted the FJ stratospherically in entertainment terms. The Jeep really came into its own in open-air mode. The cool wafts of lightly chilled air are just the ticket on a hot day and as you drive, you look out over a very high prominent bonnet with the blue decals staring back at you. It instils a weird sense of fun into the drive. You feel like you’re 17 again having your very first bash at a car that had only been on you bedroom wall before that. I’d be happier with the Special Ops being slightly more compliant ride-wise. 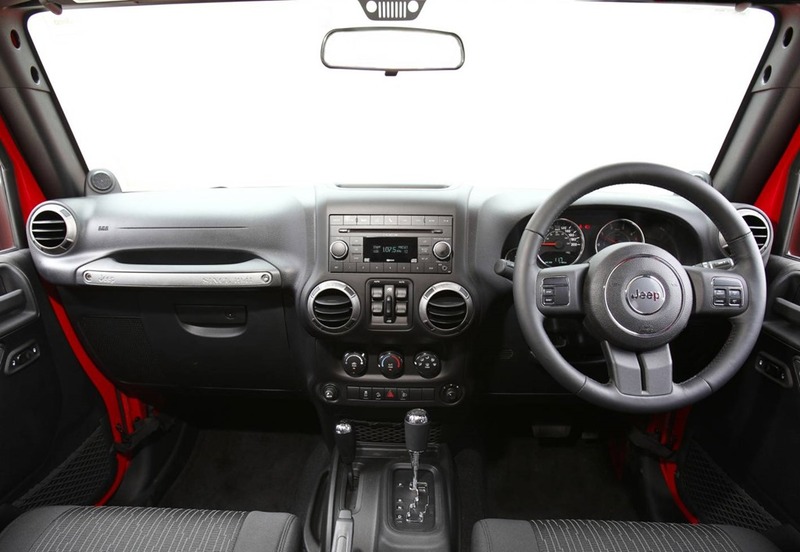 The interior looked quite plasticy as if it had been designed by the bloke who did the control unit for a radio toy car but all is forgiven with the roof off. The open top magically transports the driver right into the middle of the deepest African jungle in the time it takes to turn the key. The simple act of traversing a slightly bumpy country lane in the mountains allows a city boy to think he is an intrepid explorer, and that kind of intrinsic sense of fun a car either has or it doesn’t. It’s quite uncanny. 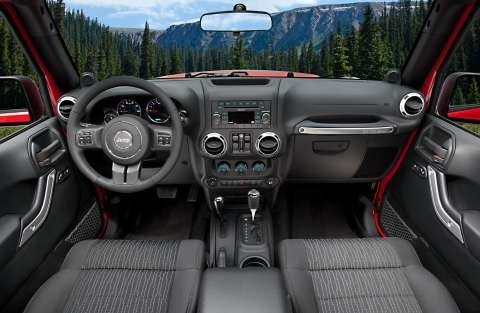 And for that alone, the Wrangler is worth its weight in camping gear. If I’m being honest, neither car was super-comfy. The driving position takes some getting used to but once you do, you feel like you’re the king of the road. You sit very high looking down on all but the biggest of fellow 4WDrivers. Even then, there is a certain smugness that can be derived from driving 2 of the coolest cars on the road. In the end, the team resorted to flipping a coin such was the closeness of the voting so tallying our scores was the only fair way. 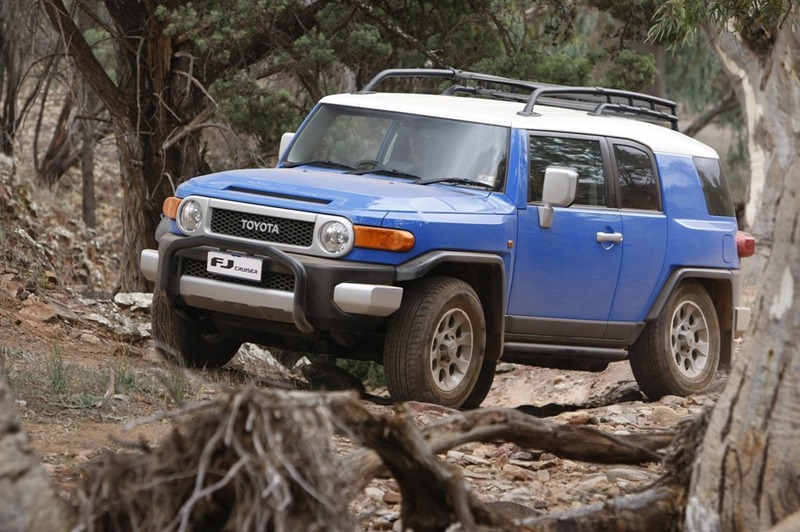 There you have it, in one of the closest results in our comparison history the FJ is in front by a nose. The FJ was nippier but the Jeep was that little bit sexier. I’m surprised by the results because although the FJ was nicer to drive, the Jeep was more fun. Despite the results, the battle rages on at Team GayCars. 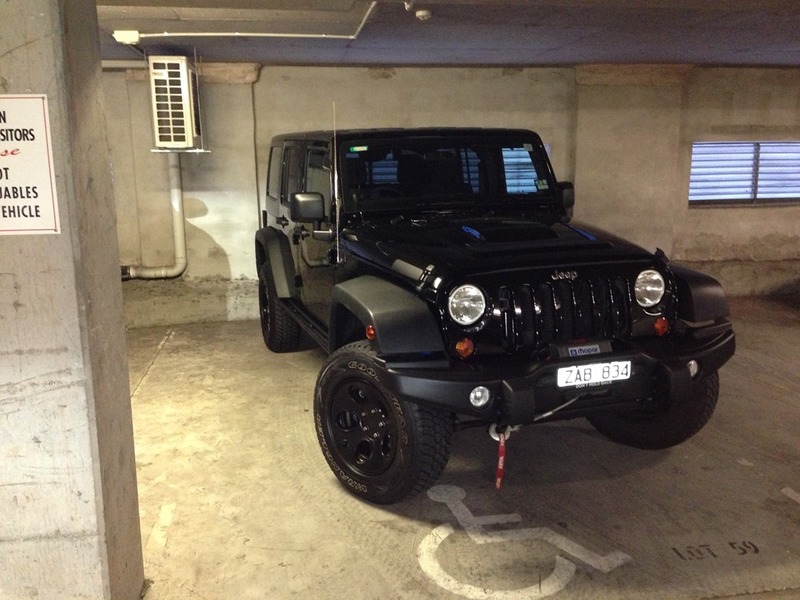 can you please tell me what wheels are on the Jeep? Great comparison review! Check out the RC control pad aesthetic used for the center console! Nicely done gentlemen! I like the comparison between the RC controol unit and the center console! Spot on there! The similarity is spooky isn’t it? Yeah, it makes you wonder.